Just 17 miles from Orlando International Airport and 10 miles from downtown Orlando, Universal Orlando Resort is one of our favorite Orlando event venues. Comprised of 6 different themed hotels, 3 unique theme parks, and an entertainment and dining complex – Universal CityWalk, Universal Orlando offers something for everyone and can accommodate any type of event for groups of all sizes. 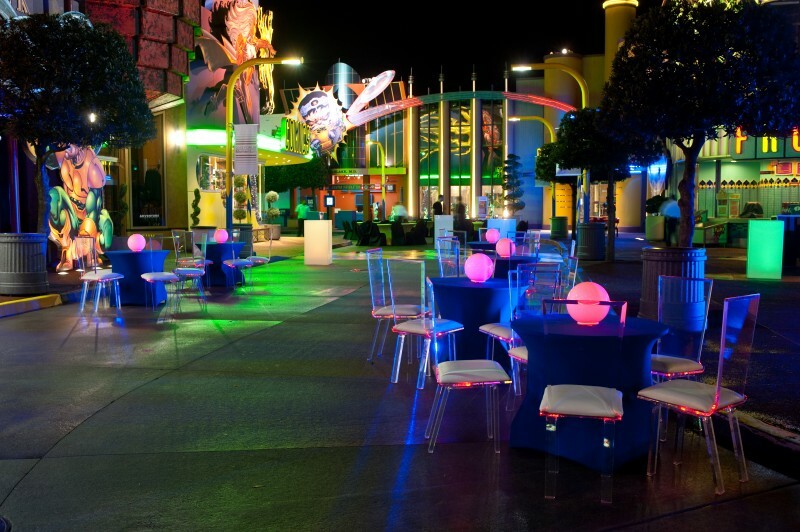 With nearly 300,000 square feet of combined event space, a variety of entertainment opportunities, and unique setting, Universal Studios Orlando guarantees attendees will have a one-of-a-kind event experience. On The Scene has experience producing corporate events at Universal Orlando Resort, and our team of experienced event professionals will work as an extension of your team. As your behind the scenes partners, we will learn your company culture, brand, and goals to ensure your event matches your vision and leaves attendees with memories that will last a lifetime. We handle everything from initial planning and logistics to transportation, team dining, and production. Universal Orlando Resort has 30 different event venues and 22 different restaurants, offering versatility and plenty of space. 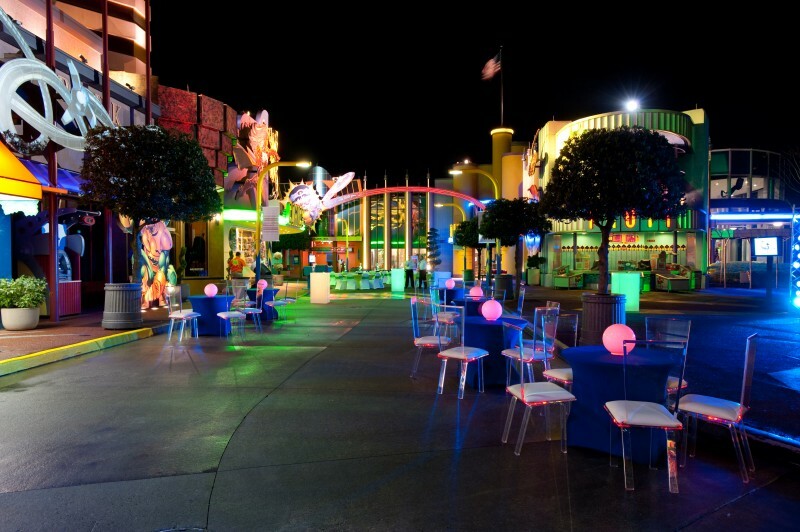 Whether you’re interested in hosting your event after hours inside of one of the theme parks, or want a group dining experience at one of the restaurants or clubs in CityWalk, the possibilities are endless. Universal’s Islands of Adventure – Offering adventure-based rides and unique experiences, Islands of Adventure is perfect for creating unforgettable memories for attendees. Attractions include: The Wizarding World of Harry Potter – Hogsmeade, Jurassic Park, Marvel Super Hero Island, and Skull Island: Reign of Kong. Universal Studios Florida – A movie and TV-based theme park that takes you on a trip to the major cities of the United States, including: New York, Hollywood, and San Francisco. Attractions include: The Wizarding World of Harry Potter – Diagon Alley, World Expo, Soundstage 33, and Hollywood Suite. Universal’s Volcano Bay – Volcano Bay takes you to the Pacific isle to experience the life of The Waturi at this one-of-a-kind water park. Attractions include: Krakatau Fire and Water Volcano, Cabana Ridge, and Honu. On The Scene is an award-winning Orlando event management company with experience producing a variety of corporate events for companies in a wide range of industries. If you’re planning an event in Orlando and are interested in hosting your upcoming meeting, reception, multi-day program, or corporate event at Universal Resort Orlando, contact On The Scene today!